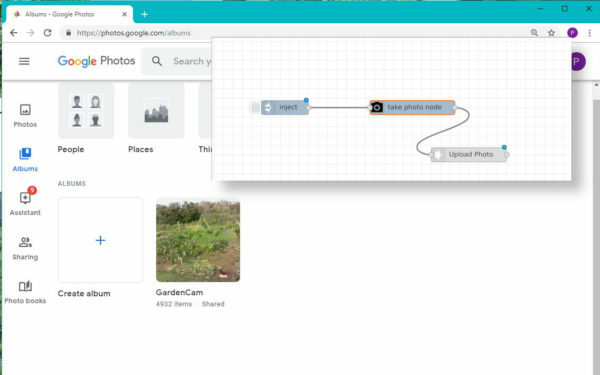 Upload pictures from a node-red flow into a Google Photos folder. 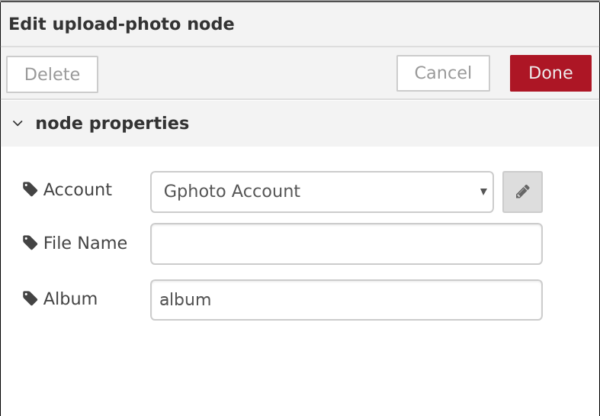 How to install and configure the easybotics-gphoto-upload node, and use it in your flow. and wait for all the installs to finish. 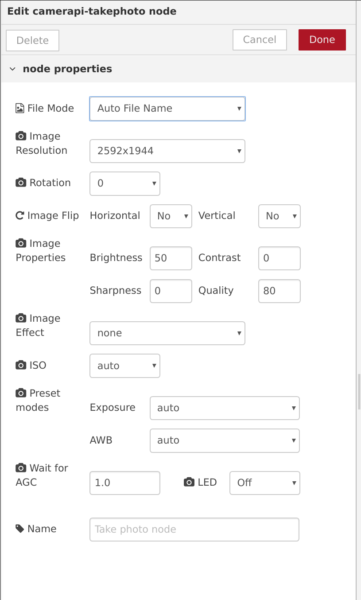 Drag the upload-photo node in from the palette, and enter the setup menu by double clicking on it. In the settings page, the filename and album can be set. Usually you would inject a filename, but if you inject an empty message it takes the defaults set here. To setup the camera node, just make sure it’s set to output the filename. And that the Image Resolution is set to anything other than the maximum. Posted in Camera, Flows - Experiments, Raspberry Pi.